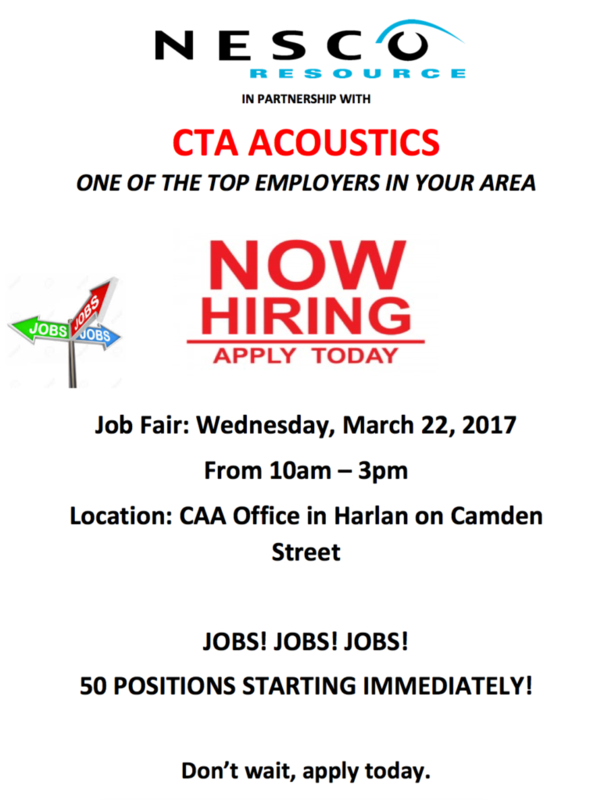 Nesco Resource in partnership with CTA Acoustics, one of the top employers in our area, have 50 job positions available starting immediately. Harlan County CAA will host a job fair on Wednesday, March 22, 2017 from 10am to 3pm. The job fair will be at the Harlan County CAA location at 319 Camden Street in Harlan.